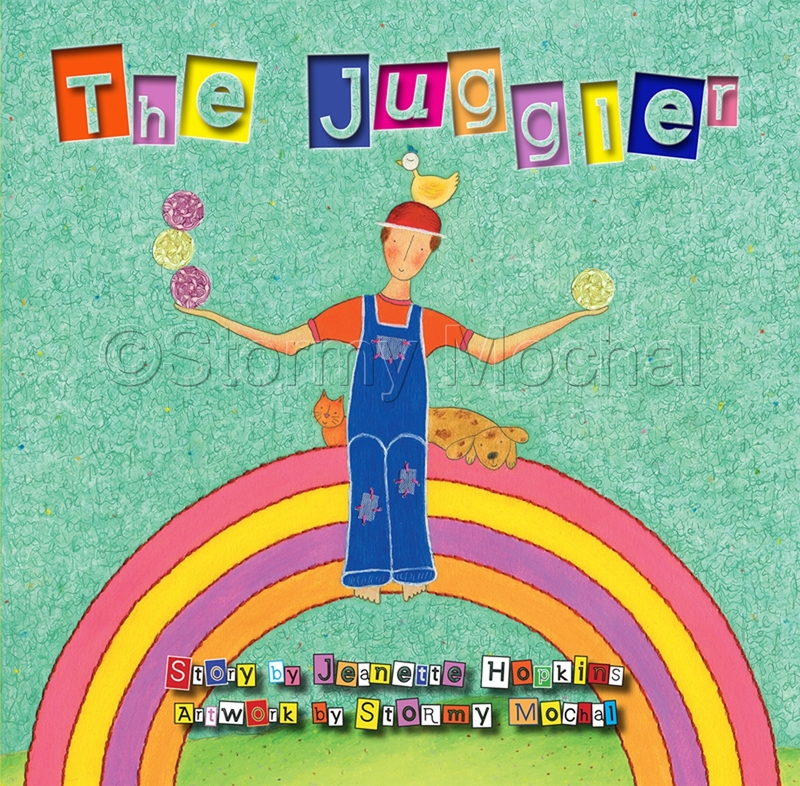 Hardcover children's book The Juggler illustrated by Stormy Mochal. Children will delight in this heartfelt story about a young farmer who yearns to juggle. Autographed by the illustrator.